The following is a guest blog written by Blue Raven Solar employee, and ecobee enthusiast, Holly Glem. Let us know if you would like to write for the ecobee.com blog! Check out Blue Raven Solar’s full article and homepage here. We are headed into summertime, which means soaking up the sun and enjoying the outdoors. Unfortunately, for most of us this also means higher utility bills. You probably know that going solar is one of the best long-term investments you can make for your home, both in terms of saving money on your utility bills and reducing your reliance on non-renewable energy. But, if you’re not ready to go solar yet, or have solar but are looking to increase your efficiency, here are some great ways to keep your bill bearable in the summer heat. LED light bulbs are becoming prevalent in American households. In fact, some solar companies like Blue Raven Solar will provide consumers with LED light bulbs along with the purchase a new solar system. You can also find these bulbs at most big box and home improvement stores. Even so, these energy efficient bulbs can help your home use up to 15-25 percent less energy. These savings translate into lower utility bills and an eco-friendly home that offers the same level of comfort and convenience to which your family is accustomed. A smart thermostat lets you control the temperature in your home as well as keep track of your energy consumption. You can also set it to inactive when you are on vacation or expected to be away from home for awhile. 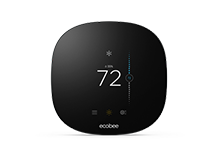 Blue Raven Solar also offers smart thermostats like the Ecobee, but you can use them without going solar. 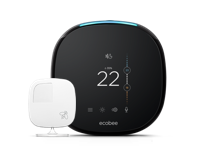 Smart thermostats connect to your home’s Wi-Fi and according to Ecobee, can save you as much as 23% per year on your utility expenses. 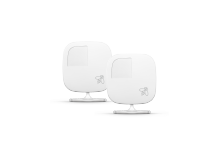 They are easy to install and can also be controlled with your smartphone or mobile device. If your windows are not efficient you could lose some of the possible help from your other changes. Outdated windows let in drafts, sunlight, and other elements that can make your energy system work harder. In turn, your utility costs may skyrocket during the coldest weeks of winter and hottest days of summer. Energy efficient windows can save you between 10 and 20% on your heating and cooling costs. When you install these windows, you should ensure that they have weather stripping on all of the movable joints. They should also be made from durable materials that will not rot or warp like wood or vinyl. You also need to install and replace the insulation in your home’s walls and attic if you want your home to be energy efficient. Putting in new, high-quality insulation can lower your home’s heating and cooling costs as well as keep out air drafts around the windows and floorboards. Insulation can likewise keep out moisture that can cause mold growth and make the air in your house colder or hotter than usual. Insulation comes in a number of different varieties like fiberglass or slag wool. Choose the material that best suits not only your budget, but also the size of your house and the geographical area in which you live. Alright, I know this one isn’t very glamorous, but if you want to save money during the summer keeping your house cool, you should have your AC serviced before turning it on for the year. When your AC sits dormant all winter, it can become vulnerable to disrepair like leaks, loose connections, and disintegrated wiring. By the time you turn it on, it could malfunction or not work at all. The months of dormancy could lead to the Freon in the AC unit evaporating or leaking out of the cooling system. When you turn on the unit, the air will blow hot or lukewarm instead of cool, which causes you to turn the temperature down lower, forcing the unit to consume more energy and your utility bills to rise. Careful attention to your AC system can help you use anywhere from 5 to 15% less energy during the season and in return, pay less for your cooling costs. As the costs of heating and cooling the average American home continue to rise, you have several easy and affordable choices available to you to keep your house cool yet energy efficient. Lowering your energy bill does not have to be difficult, time consuming, or expensive.